Another member of the BlackBerry Bold family has surfaced: the BlackBerry Bold 9780. 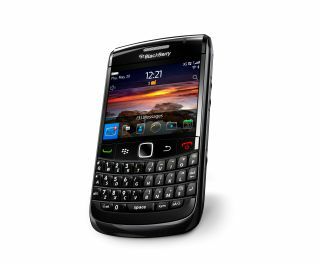 Very similar in size and shape to the BlackBerry Bold 9700, this version comes with BlackBerry OS 6 and a slightly different finish to the chassis. It also has an upgraded 5MP camera with flash and 2x digital zoom, making it the joint-best BlackBerry camera phone alongside the Torch. It's got 512MB of ROM, compared to the 256 of the last Bold, and also comes with a 2GB microSD card. Other specs include Bluetooth 2.1 and Wi-Fi 802.11 b/g and a 1500mAh battery, good for 22 days' standby or 36 hours of music playback. With BlackBerry 6 OS, users get an improved WebKit browser (although still not in the iPhone or Android league) and a more fluid home screen with RSS feeds and social networking. RIM has stated the BlackBerry Bold 9780 'will be available from various carriers around the world beginning in November,' which we assume means the UK given that we're one of the biggest markets for the firm. We'll be bringing you our BlackBerry Bold 9780 review as soon as we can get our hands on one, and with a UK release date not too far away we reckon that will be sooner rather than later.